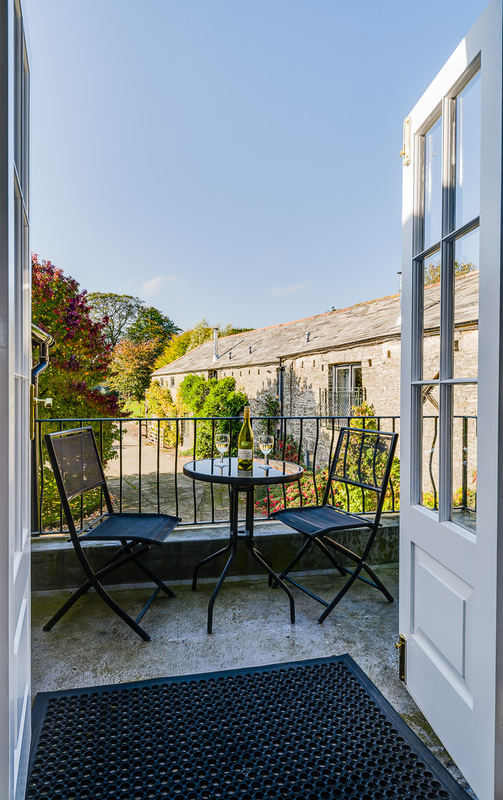 The beautifully furnished West Wing is accessed from the South facing courtyard, with an outside seating and barbecue area. 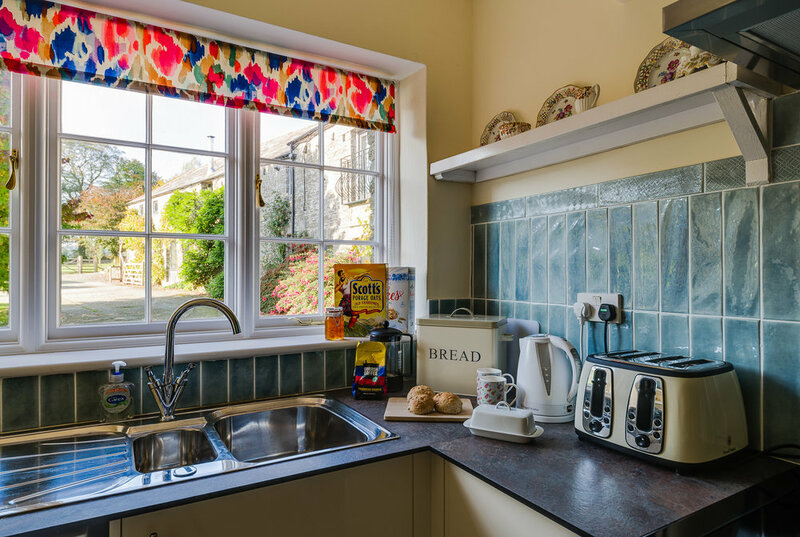 Downstairs the entrance hall gives access to a refurbished kitchen with range cooker and an adjacent cloakroom with WC and laundry facilities. From here double doors open into a large living room with slate flagged floors, antique furniture and paintings. 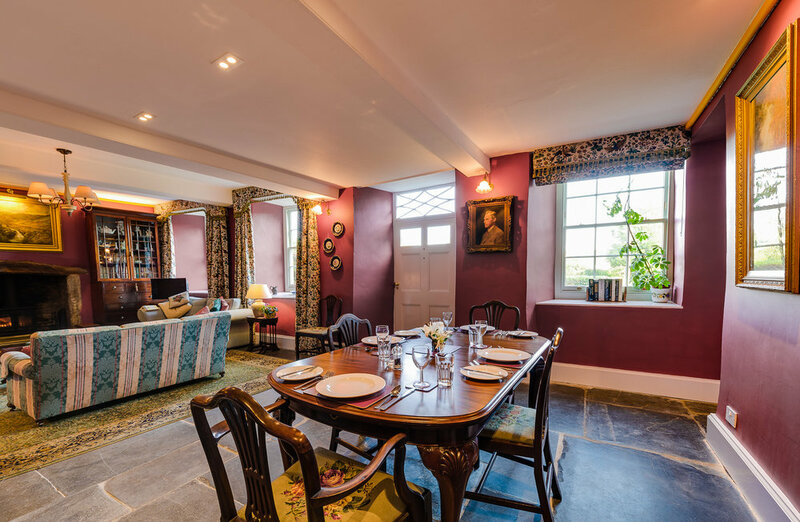 Settle into the comfortable sofas in front of a log burner for winter dreams after a delicious meal served at the mahogany dining table. 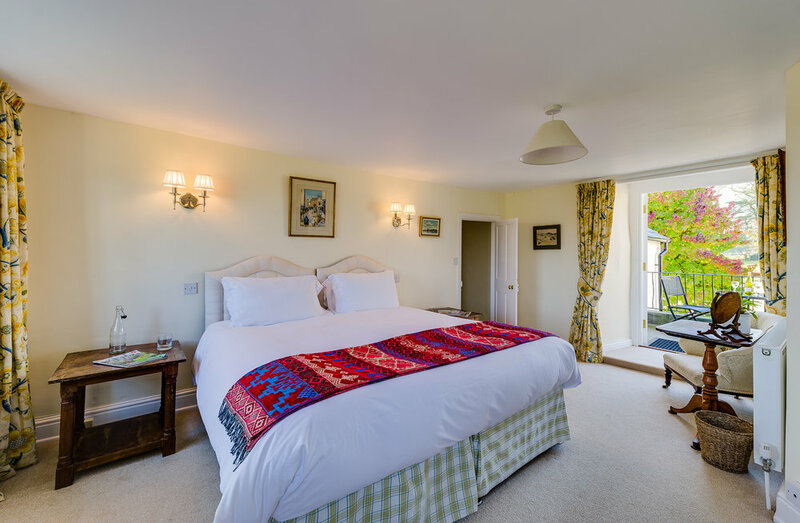 On the first floor there are two airy bedrooms with comfortable beds. One has a superking sized bed with an ensuite bathroom and balcony. The adjacent room can either be made up as a superking double or a twin bedded room. For families a third bed or cot can be provided. This room is served by a family bathroom, with a roll topped bath and separate shower. 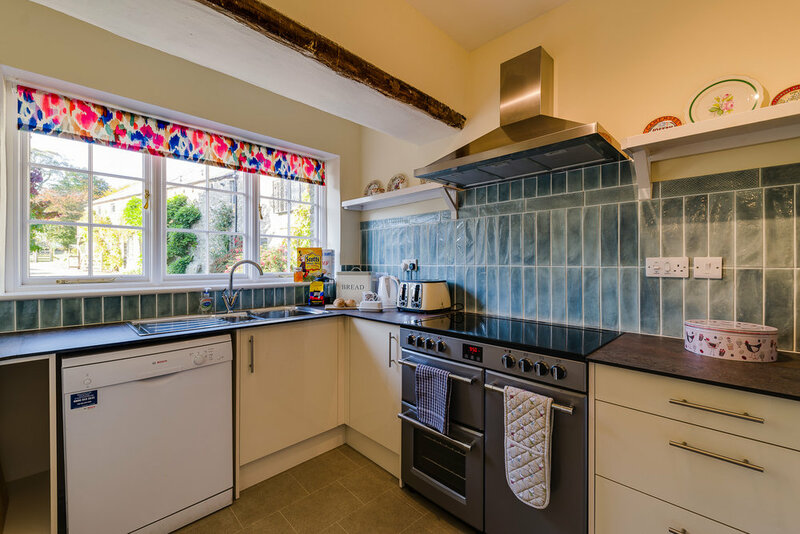 Access and parking is separate from the adjacent barns with an easy walk to the orchard, fields and river beyond. Steps lead to the children’s play area and popular games room. Low season from £509 per week. Mid season from £739 per week. High Season £1139 to £1599 per week.